Elwin A. Wandrey (Boats), (Buddy). Born November 7, 1925 in Owatonna MN, passed on to his eternal home in heaven on August 12, 1995 with his family at his bedside. Beloved husband of Nora, loving father to Linda Willis, her husband David & Susan. He is also survived by sisters Ione Maidl of Rochester, MN., Lorriane Mentz & Elaine Rodel of Owatonna, MN., & brothers Keith & Robert of Owatonna, MN. He joined the Navy in Nov. 1943 to see the world in which he served in the crises years of WWII, the Korean War, several years of Cold War conflicts and Viet Nam. While serving in Japan he met his wife of 46 years in Tokyo. He married her on his birthday in 1948. 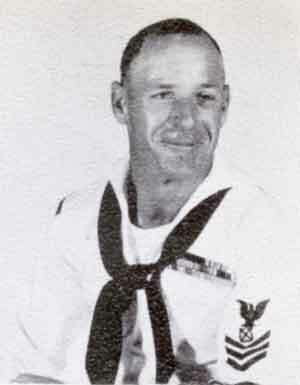 He retired from the Navy Jan. 1967 after 24 years of honoable service. He started a second career with the federal government in 1968, retiring from NADEP North Island Aug. 1994 with 50 years of combined government service. He loved his family, his friends, his work and Las Vegas. He will be forever in our hearts & lives. Memorial Services will be held Fri. Aug 18 at 3:30 pm at the Little Chapel of the Roses at Glenn Abby Memorial Park, in Bonita. Rememberance gathering will be held at the family home after services.